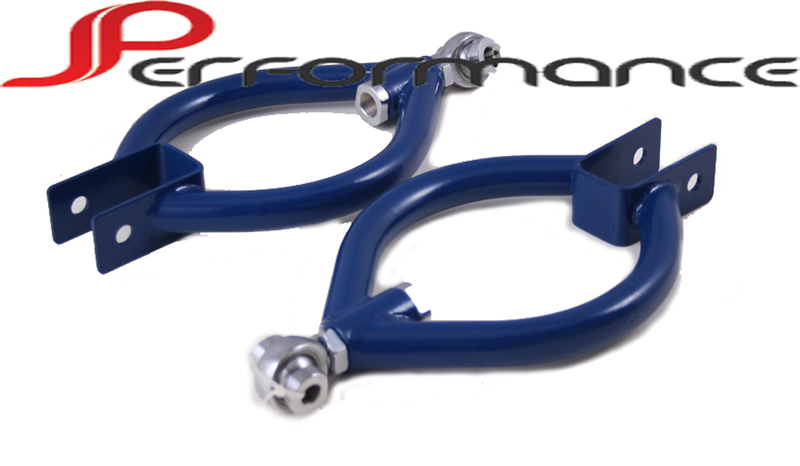 These adjustable rear camber arms with pillow ball ends allow you to accurately set your rear camber - A must for any lowered car as the standard eccentric bolt doesn't allow enough adjustment. Correct alignment is essential when trying to achieve the perfect drift setup. Arms manufactured from high tensile steel with Heavy Duty Spherical Pillow Ball Joints for outstanding reliability. Includes both left and right side arms.